Second star to the right and straight on till morning! With that simple phrase we return to the imaginative world of J.M. Barrie’s Neverland. 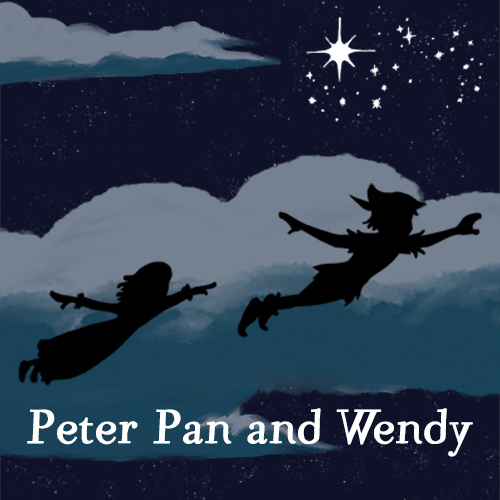 When Wendy meets Peter, the little boy who refuses to grow up, the adventure for the Darling children begins. With a few magical thoughts they learn to fly and Peter leads them on an adventure of a lifetime. This original adaptation featuring music by Matt Conner was first produced in 2013 and quickly became one of our audience and critics favorite “Bold New Works for Young Audiences” productions. Featuring a cast of adult professionals and our budding Learning Theater performers, this is a show that will capture the imagination of young and old alike!